Hillary Clinton has high aspirations, as I would think avoiding prison would be her top priority. While Conservatives are fitting Hillary Clinton for the orange jumpsuit, Clinton is making different plans. As it turns out, Hillary Clinton wants to run New York City. De Blasio better hurry up and steal what he can from the treasury, because when the Clintons come to town, game over. Recall how well Bloomberg did while Mayor of NYC? Bloomberg should be jailed for this theft of the people of New York. Who grows wealth from $4.8 billion to over $32 billion while having a full-time job? And during an economic downturn? A lying Leftist, that’s who. This man is exactly what politics DOESN’T need. For the Clintons’ crooked charity, New York City may be just what the doctor ordered. Nevertheless, there are still some Clinton hopefuls who think Hillary Clinton should hold out for one more shot at the presidency. Even her closest allies say the chances of her running for president again are small, and that’s putting it nicely. Clinton’s chances of running for the presidency are slim and none, and slim died last week. There remains hope for Hillary, and the die-hards who want to watch a professional criminal work. 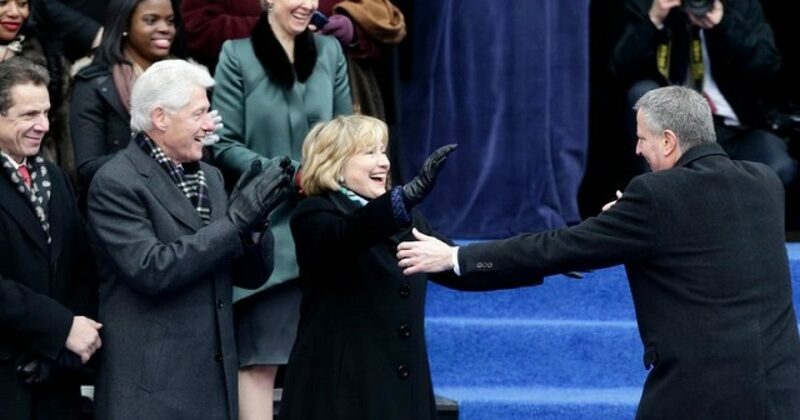 Hillary Clinton could run for governor of Illinois. If she wins, she may join two other recent Leftist governors who went to prison, thus completing the trifecta. We will keep you posted on Hillary’s devious plans.